Need a service? We’ll accommodate your schedule. Call us at (210) 920-8010 or drop us a line below. At our family owned and operated company knows that when you need AC or heating unit repairs, maintenance, or new installations, it shouldn’t have to cost you an arm and a leg. That is why our San Antonio heating and air conditioning technicians are well versed in all the financial options that can greatly benefit your situation. 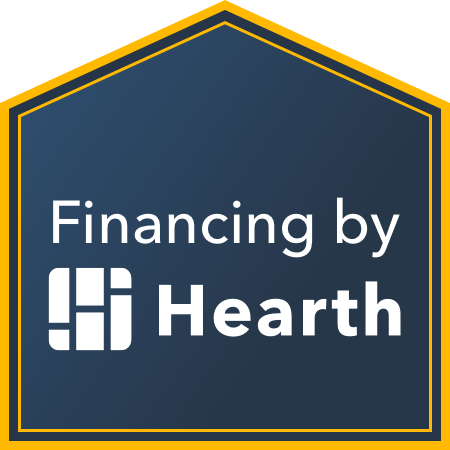 Hearth Financing helps you the homeowner find the best rates among their connected network of lenders using their own credit approval matrix so that your credit is not affected when searching among their lender network. They will provide your information to the lender you are most likely to be approved with. The best part? You will work directly with your lender upon approval! Need Financing for Your New AC Unit? When given the price of a new HVAC system, most people cringe and wonder if they have to use a big chunk of their life savings, or sell one of their cars, to pay for it. While it's true that an HVAC system can cost a lot of money, it's also true that there are many options to choose from to help pay for your new system or major repair. The federal tax credit on new, more efficient HVAC systems has been extended! Ask your technician for details. Also, rebates by CPS are afforded for homeowners in the San Antonio area for up to $225 for each ton of air your new unit produces. This rebate is available as long as funds last and depends on homeowners having at least a 15 SEER unit installed in their homes. A 16 SEER air conditioning system will get you a larger rebate. Often, there are rebates offered by our manufacturers for new HVAC systems. Most are in the form of instant rebates, while others are mail-in. We will do our best to keep you informed of any of these rebates whenever you purchase a new system. Don’t let financial issues bar you from getting the comfort you deserve. Call (210) 920-8010 to discuss your AC unit financing options with our San Antonio heating and air conditioning experts today. Synchrony Bank is the same company that offers Rooms to Go credit cards and the medical Care Credit cards as well. Synchrony Bank has several financing options including an 18 month no interest option. Please understand, if you choose this option, after 18 months, interest will be applied retroactively at a 26.99% rate. For the best deal, be sure you can have the principal paid off by the end of the 18 month period. All employees and company representatives will introduce themselves and keep you informed while work is being performed. There will be no foul language or inappropriate dress.